There’s another effort to “raise the age” for the juvenile justice system. Funeral services are set for former Michigan Congressman John Dingell. A new CEO is picked to lead Senior Services of Southwest Michigan. (MPRN) The age of who is considered a juvenile in the criminal justice system could go from 17 to 18 in some circumstances. That’s if lawmakers pass bipartisan legislation to raise the age. Prior efforts have failed. Alicia Guevara Warren with the Michigan League for Public Policy. says the legislation is written so that local governments and the state will have two years to work together to implement the changes before the law would take full effect. In the past lawmakers and local governments have expressed concerns over the costs of shifting inmates in adult facilities to juvenile facilities. (WDET) A public visitation is set Monday for the longest-serving member in the history of Congress. Former Michigan Congressman John Dingell died last week at age 92. The visitation is in Dearborn a part of the southeastern Michigan area John Dingell represented for six decades in the U.S. House. It’s followed Tuesday by a funeral mass there with speakers including West Michigan Congressman Fred Upton, civil rights icon Congressman John Lewis and former Vice President Joe Biden. Dingell’s casket will then be flown to Washington where a second mass will be held Thursday with former President Bill Clinton scheduled to give remarks. Dingell a veteran of World War II will be interred at Arlington National Cemetery. (MPRN) Governor Gretchen Whitmer’s pick to lead the Department of Health and Human Services is scheduled to face state Senators this week. The Senate has 60 days to reject an appointment by the governor, otherwise they stay on the job. 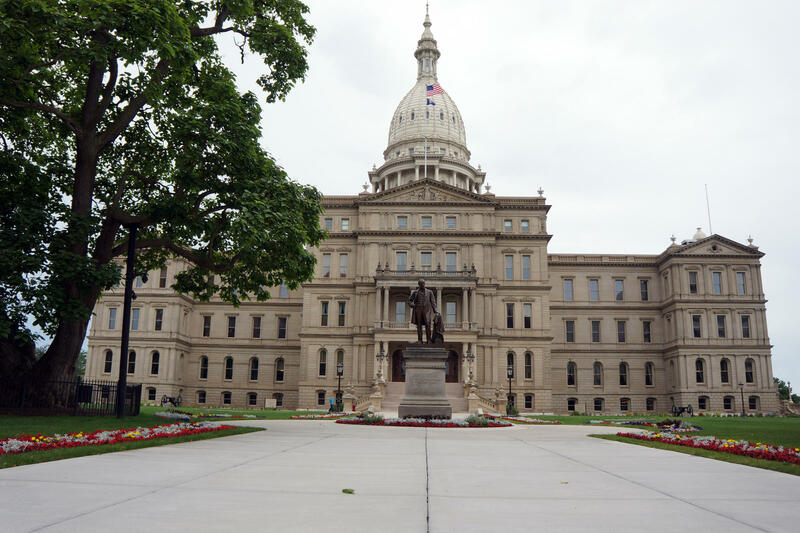 The Senate Advice and Consent committee held hearings last week on Whitmer’s picks to direct the Michigan State Police, Department of Transportation and others. Senior Services of Southwest Michigan has a new CEO. The private non-profit organization says Richard Kline will begin his duties on March 4th. Kline’s work in health care administration for older adults includes serving as Deputy Director for the State of Michigan Aging and Adult Services Agency. In softball, Western Michigan lost to Oregon State Sunday 8-3. The Broncos lost all five games in their season opening trip to Tempe, Arizona.